26. 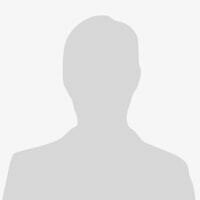 Freedom of Information Request: Request documents related to the following topic. Is the task force divided into segments and each member responsible for a specific geographical area? Task force members often reference their "Districts". I understand the different areas of expertise, roads and bridges, commerce, schools etc, but geographical districts was not mentioned in the Executive Order JBE-2016-65. Is the task force divided into segments and each member responsible for a specific geographical area as well? This is to acknowledge your e-mail submission of August 28, 2018, below. Please note that that the Louisiana Public Record Law allows for requests of existing documents and not generally for submission of questions, discussions, requests for research, or creation of documents. Also, it is important to state as succinctly as possible the documents which you are requesting to avoid ambiguity or confusion. Your e-mail below is being interpreted as a request for documents relating to whether the Louisiana Restore Task Force is divided into segments and each member responsible for a specific geographical area as well. 27. 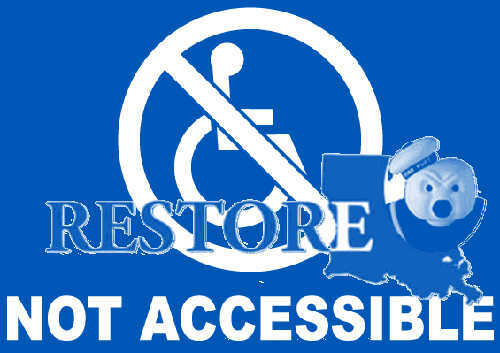 Freedom of Information Request: Guidance, law or policy related to allowing a common citizen to be added to the Louisiana Restore Task Force Meeting agenda. Guidance, law or policy related to allowing a common citizen to be added to the Louisiana Restore Task Force Meeting agenda. If a person has a solution and typical congressional channels fail how can a solution reach the task force agenda? I have read the Executive order regarding the task force must create a mechanism to allow for public input. I have emailed and called task force members with no success to how I can be added to the agenda. Here is the reference in the Executive order. I need to find the actual "Mechanism" to which this passage references. A. The Task Force shall establish both short and long-term priorities in developing plans for recovery and redevelopment. Such priorities and plans shall draw upon traditional state resources and programs and create special programs dedicated to responding to the aftermath of the flooding. Such priorities and plans shall include timelines and benchmark goals. 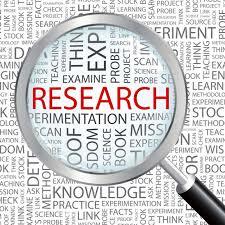 There must be a mechanism for public input and the opportunity to modify priorities and plans based on such input. These priorities and plans shall focus on the following areas: (1) housing and redevelopment; (2) economic and workforce development; (3) education; (4) infrastructure and transportation; (5) healthcare; (6) fixcal stability; (7) family services; and (8) agriculture. This is to acknowledge your e-mail submission of August 28, 2018, below. Please note that that the Louisiana Public Record Law allows for requests of existing documents and not generally for submission of questions, discussions, requests for research, or creation of documents. Also, it is important to state as succinctly as possible the documents which you are requesting to avoid ambiguity or confusion. Your e-mail below is being interpreted as how you can be “added to the agenda” of Restore Task Force meetings. With respect to your inquiry below, each agenda posted for Restore Task Force meetings includes an agenda item for public comment period. Those agendas may be found among the documents located on the following website: http://restore.la.gov/resources/ . 32. Freedom of Information Request: Copy of public announcement Department of Community Development - Disaster Recovery Unit published Chief operations officer COO working directly under the Executive Director of the OCD-DRU. Request a copy of and location of the public announcement that the Department of Community Development - Disaster Recovery Unit published a open job position of Chief operations officer (COO) working directly under the Executive Director of the OCD-DRU. 33. 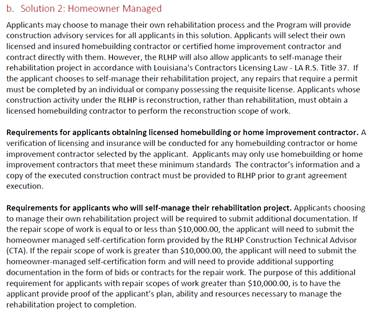 Freedom of Information Request: Request for the Restore Louisiana Homeowners Solution 1 Reconstruction Floor Plans price list. Request the Restore Louisiana Homeowners Solution 1 Reconstruction Floor Plans price list. If no standard price list is available then I would like to request a copy of payments to the following sub-contractors for any of the following reconstruction floor plans. Invoices TO IEM Inc. FROM CORE Construction , Roy Anderson Corp., Dynamic Construction Group, Design & Build Consultants, TKTMJ Inc. for the following named reconstruction floor plans.